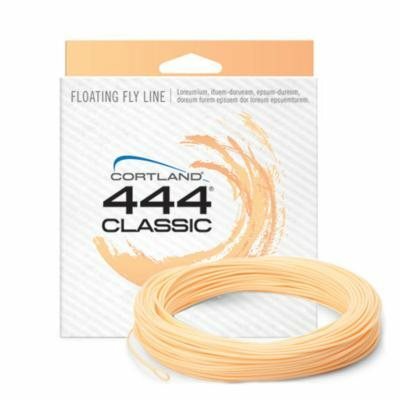 Voted flyline of the millennium by readers of Trout Fisherman and Trout and Salmon magazines, the Cortland 444 Classic peach line is without doubt the world's most loved flyline. Super soft and supple, it is a delight to use, ensuring delicate presentation and effortless casting. The full series includes a wide range of densities to cover all fishing situations, including a brand new 7' Ghost Tip.accommodate the bias towards fishing stillwaters in the UK and to ensure adequate loading of today's more powerful rods, Cortland have produced this special longer bellied XP version of their Classic line in Classic Peach and Blue Intermediate versions.